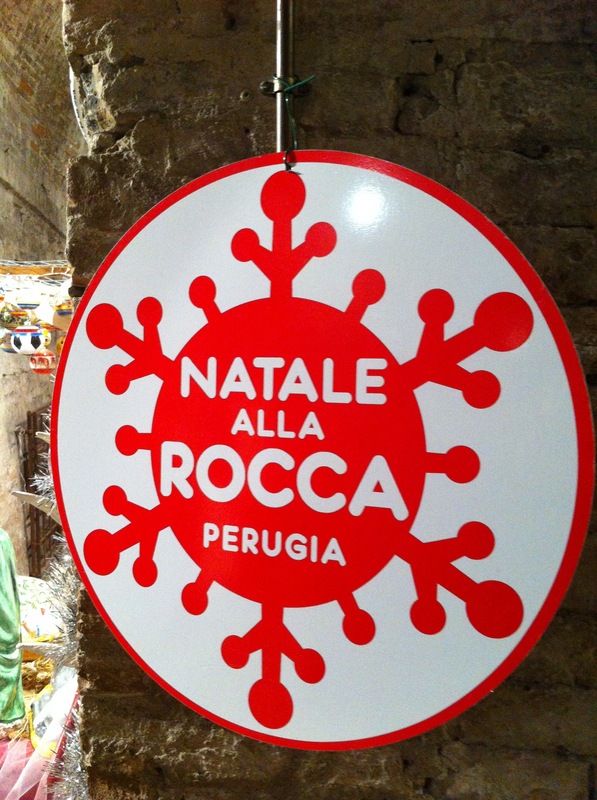 Our monthly Italy Blogging Roundtable takes on the theme of “sweet” this month! Take a look at posts by Kate Bailward, Jessica Spiegel, Melanie Renzulli, Alexandra Korey, Gloria, and Michelle Fabio. (If you missed the previous months, take a look here.) Welcome back to our table…come pull up a chair and join in on the conversation. I have, of late, discovered the small nugget of joy that is birdwatching. To be honest, what I do can hardly be called by that name. 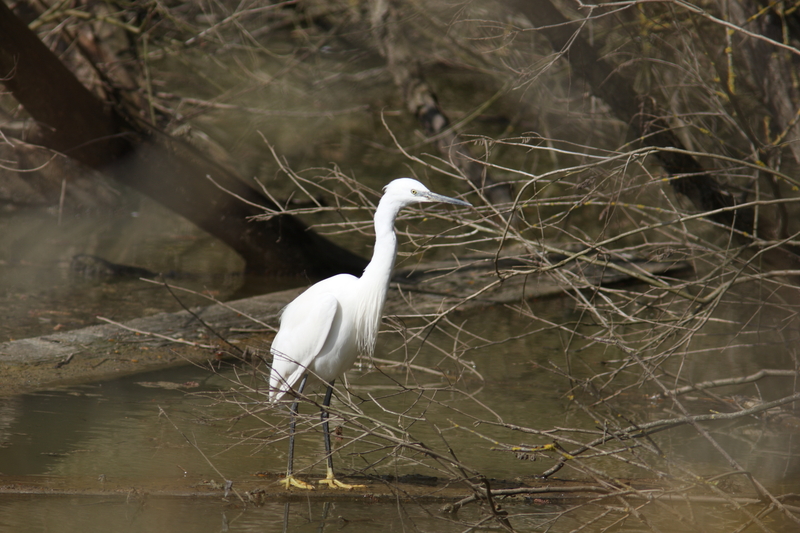 I rarely correctly identify a species—indeed, I rarely see a bird if it’s not pointed out to me by a companion. I have a hard time maneuvering binoculars, and forget about photography. By the time I’ve chosen the right exposure and focus, the flock has long migrated to Africa. But the silence and pace are a welcome respite from my loud, fast life, so I find myself more and more frequently retreating for a few hours to one of the number of natural bird sanctuaries around Umbria. My favorite, the WWF Oasis of Alviano in the southern part of Umbria, was hit hard by a devastating flood two years ago and my heart broke when I heard about the incredible damage to the park and its infrastructure. So when they put out the call for volunteers to come and lend a hand rebuilding, I signed right up. 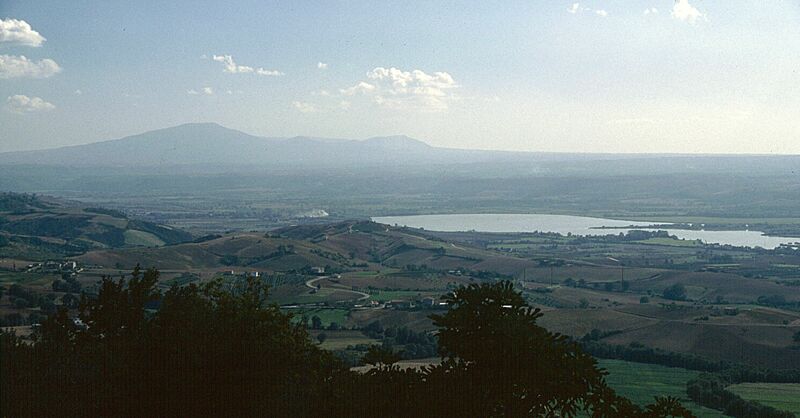 The Alviano Oasis is one of the WWF’s largest, extending 900 hectares along the manmade Alviano Lake, formed with the 1960 damming of the Tiber River for a hydroelectric plant. The area had already been an established stop for thousands of migratory birds each year, but with the formation of the vast lake and surrounding wetland, the importance of the resulting ecosystem became such that in 1978 the area became a natural reserve and in 1990 was taken over by the WWF. There are four kilometers of walkways and hiking paths circling the lake and marsh, broken up by bird blinds and towers. 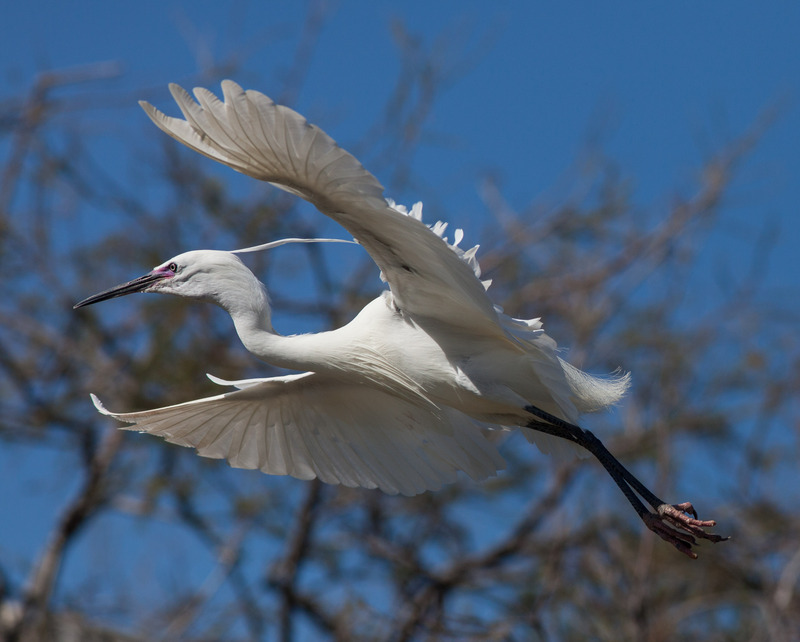 Here skilled (and, ahem, lucky) birders can spot over a hundred species, including brightly plumed kingfishers, great crested grebes, herons, cormorants, bitterns, and falcons. The area is also lush with aquatic plants and the amphibians that call them home. When I went to lend a hand on the first gorgeously sunny Sunday of spring last year, I was expecting scenes of destruction and despair. Instead, I found that though much of the park infrastructure had been badly damaged (the oasis also lost two of their three horses in the flood), reconstruction efforts were going well and spirits were high with both the staff there directing the work and the hearty group of volunteers and guys from fence company near me, who agreed to help in this. We worked on clearing the paths, rebuilding walkways, cleaning out the blinds and towers, and repairing fencing. Ours was just one in months of volunteer weekends, and it was so heartening to see the mixed group of locals and lovers of the oasis from further afield working together to get this unique area in shape to be reopened for the 2013 season. There were dozens of volunteers involved from tourists, like me, to local gutter cleaning companies and forest rangers; we were truly a diverse group of bird lovers. 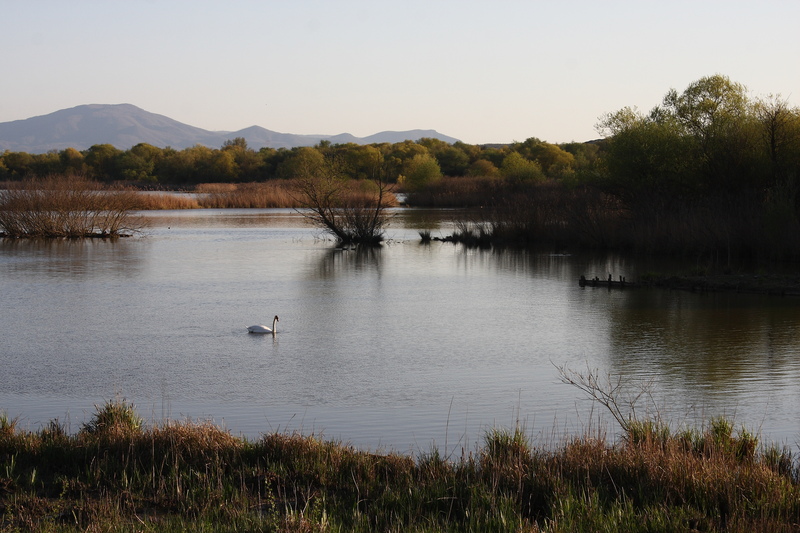 Indeed, just a few weeks later the Alviano Oasis was able to open its gates to birding enthusiasts again (though there is still work to be done), just in time for the first spring migration. 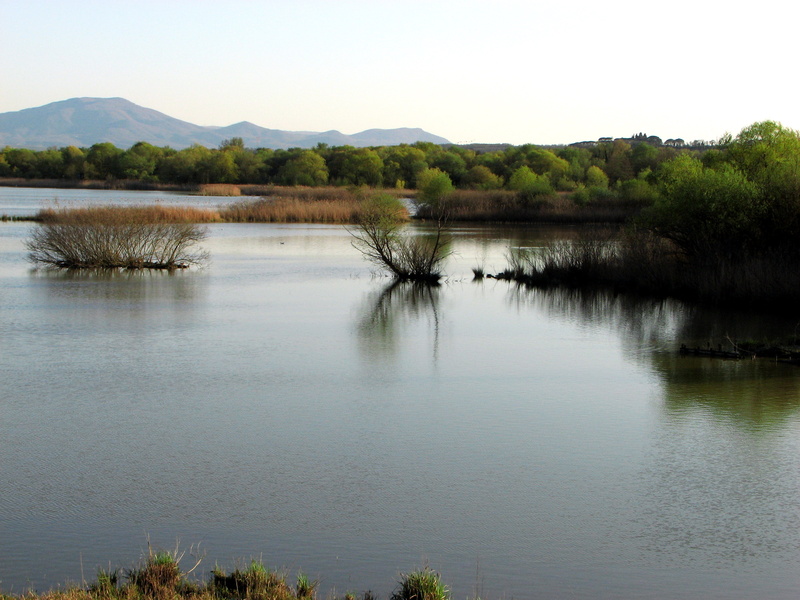 The Alviano Oasis is open to the public 10 am to sunset from September 1st to May 31st (best times for birding are October/November and April/May). The entrance to the Oasis is at Madonna del Porto (Guardea) along the Alviano Scalo-Baschi road. For more information, email lagodialviano@wwf.it or call 333/7576283. 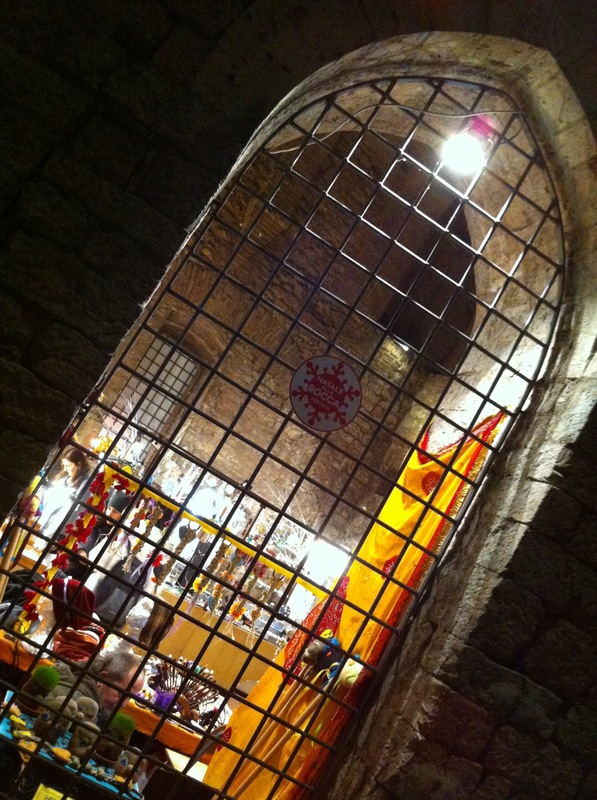 At Home in Tuscany – Touch it for good luck! Paolo is a bit of a modern Renaissance man, if by “Renaissance” one intends beer-brewing aerospace engineers with a talent for photography, a passion for grunge, and a mouth that would shame an Irish sailor. He’s also a man-about-the-kitchen, and when I stopped by his darkroom the other day to irritate him with my amateur questions, wildly off exposure times, and tendency to drip caustic liquids pretty much everywhere, I rediscovered one of the simple pleasures of snacking that had slipped my mind: addormentasuocere. My love for these simple-yet-addictive candied hazelnuts has two roots: 1. the fabulous name (addormentasuocere can be loosely translated as “mother-in-law tranquilizers”, one assumes because the act of popping them in the mother-in-law mouth prevents the mother-in-law tongue from wreaking its usual havoc) and 2. the most amazing gelato EVER that I tasted a couple of years ago on the Adriatic, that was addormentasuocere flavored. I still fantasize about it. Paolo had a plate of his homemade addormentasuocere on hand in his darkroom, which paired well with our ice-cold Peronis and steady stream of banter. I was still thinking about them the next morning, and decided to try my hand at mixing up a batch myself for our traditional Family Christmas Movie Extravaganza. They also work well for munching during holiday card games and tombola (a bingo-like game played in Italy for New Year’s). I couldn’t find toasted hazelnuts, so I had to toss them in the oven on a cookie sheet for a few minutes until they turned slightly golden. Then I had to keep myself from eating them immediately, which may have been the hardest step of the entire process. Have you ever smelled freshly toasted hazelnuts? They’re pretty tempting. Prepare a baking sheet with parchment paper where you’ll cool the candied nuts. Mix the sugar and water in a saucepan and bring to a boil. Boil for about 6-7 minutes, until it just starts to thicken into a syrup. Add the nuts, stirring constantly so they don’t clump. Continue stirring over medium heat until the sugar coating starts to carmelize (turning a slightly darker color). Pour the nuts onto the prepared baking sheet and separate any that have stuck together with a fork (or, if you’re a fan of burnt fingertips, your hands). Enjoy, with or without a Renaissance man. 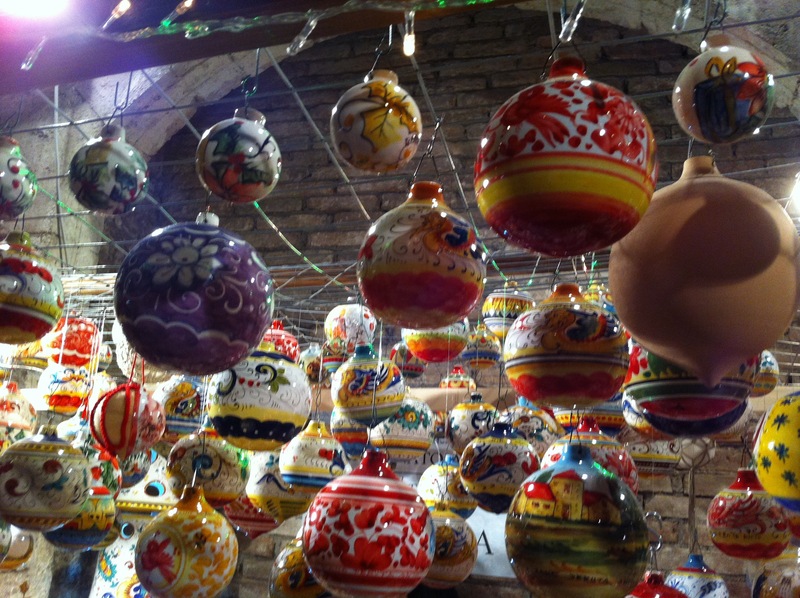 Our monthly Italy Blogging Roundtable is talking about traditions this month! Take a look at posts by Jessica Spiegel, Gloria, and Alexandra Korey. (If you missed the previous months, take a look here.) Welcome back to our table…come pull up a chair and join in on the conversation. I have to admit that I’m not completely sold on the whole Christmas market thing. An import from northern Italy—which, one presumes, imported it from the Alpine villages across its borders—these picturesque seasonal markets, composed of a number of small booths where artisans and artists hawk their wares, are starting to pop up more and more during the weeks leading up to the Christmas holidays in piazzas across Umbria. Unfortunately, a number I’ve visited have been disappointments…just a handful of booths, or poorly organized, or largely forgettable items for sale: Umbria is obviously still in the embryonic phase of its holiday market tradition. 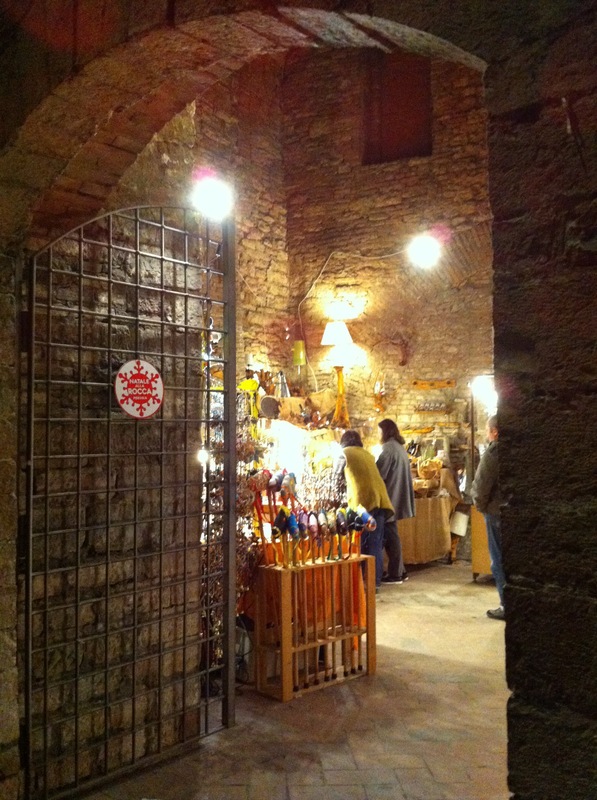 There are two exceptions to this largely insipid pool: Assisi’s pretty market the first weekend of December and Perugia’s large market which takes over the whole of the Rocca Paolina for the month of December. The Rocca is a fascinating place to wander through anytime—the remains of the medieval cityscape perfectly conserved beneath the modern streets of Perugia above—but is particularly suited to a meandering market, with booths tucked away in the various alleyways and niches which make up the brick and stone underground warren. The booths ranged from ceramics and leather goods, to handmade toys and accessories. There were a number of vintage clothing and jewelry sellers and a great selection of fun items for kids. The biggest selling point—aside from the dramatic setting and number of sellers—was the range of prices. You can easily find a number of unique stocking stuffers for under €20, up to more expensive leather bags and coats. I’m especially heartened each year by the number of local artisans with handmade crafts and food, always something I am happy to spend my (limited) Christmas budget on. Unfortunately I’ve never snapped pictures when visiting the market, so a big thanks to Gigi Bettin from Via di Francesco for pinch hitting for me and loaning me some shots! Our monthly Italy Blogging Roundtable is talking about harvest this month! Take a look at posts by Kate Bailward, Jessica Spiegel, Melanie Renzulli, Alexandra Korey, Gloria, and Michelle Fabio. (If you missed the previous months, take a look here.) Welcome back to our table…come pull up a chair and join in on the conversation. There are some firsts you never forget. Your first kiss (Bubba, fifth grade) and your first heartbreak (same kid). Your first hiring (Gino’s Italian Deli) and your first firing (same job). Your first drive (1982 Dodge Colt) and your first accident (same car). And, in my case, the first time I ever tasted truffles (June, 1986). I could see no way of diplomatically refusing to eat the soil-covered pasta, and while all eyes around the table were fixed on me, I took my first bite. It was an epiphany. Nothing can describe the penetrating, earthy (no, it’s not dirt, but its flavor suggests loamy woods and wild mushrooms and crisp autumn days and burning leaves all rolled into one) taste of the world’s most precious tuber. Grated over pasta, mixed in sauces and patès, simply wrapped overnight in a soft towel along with fresh farm eggs for a truffle-infused frittata the next day…these divine delicacies–the Romans believed that truffles were the fruit of the sacred thunderbolt of Jove—are one of the staples of Umbrian cuisine. Their ubiquitous presence on menus across this central Italian region belies the fact that they are not that easy to come by. They require a precise microclimate at medium-high altitudes, calcareous soil, stony and rich in clay, sunny yet damp spots near oaks, hornbeams, hazelnuts and holm oaks. They also require a nose—a good nose. These elusive fungi usually grow covered by leaf litter or under the forest floor and eyes aren’t good enough to roust them out. You need the nose of a dog, and I don’t mean in the figurative sense: a real truffle dog. Dogs are trained as pups to sniff out truffles (pigs were once used, but had the bad habit of eating what they found) and used by professional and amateur truffle hunters across the region to locate their woodland treasures. After years of passively eating truffles, I was ready to switch to the active side of the equation and participate in a truffle hunt myself. I bought a rangefinder from https://outdoorempire.com/best-rangefinder-reviews-advice/, so I could see how far away something was. When pondering truffles in Umbria, the town of Norcia in the far southeast corner of the region, bordering on The Marches, inevitably comes to mind. Truffles are to Norcia what bicycles are to Beijing and sin is to Vegas, so much so that the common name of the dark Tuber Melanosporum Vitt is Norcia Nero or Norcia’s Black Gold and the town holds an important truffle fair and festival every year in late February. But to participate in an actual hunt, I crossed to the opposite corner of the region and ended up on the upper northwest border with Tuscany among the picturesque wooded rolling hills of the Upper Tiber Valley. I met up with the delightful couple, Saverio and Gabriella Bianconi, of Tartufi Bianconi located in the small town of Città di Castello. In the truffle business since 1990, for the past decade the Bianconis have opened their doors to travellers and gourmands from all over the world to share their love of the local history, culture, and cuisine—all of which are closely intertwined with this delicacy. I immediately headed out with the affable Saverio, whose knowledge of the Upper Tiber Valley was exhaustive and enthusiasm infective, to a nearby truffle reserve where we met up with two local foragers and their professional canine colleagues: Asia and Sandy. The dogs were literally trembling with excitement as I got kitted out with my “bisaccia”, or traditional leather truffle bag, and headed into the woods. As soon as they were let free and given the command, they began zigzagging through undergrowth, nose to ground, sniffing for buried treasure. Not three minutes had passed when Asia began circling a spot, and delicately pawing her way through the dried leaf cover and damp humus underneath. Score! A pair of lovely black truffles, about as big as walnuts, were about two inches underground, and I was as proud of her hunting prowess as if she had been by my own. Less than an hour later, with a warm thank you and goodbye to our two “tartufai” truffle hunters and their dogs, I set off with Saverio to his home and business to have our booty weighed and sorted. 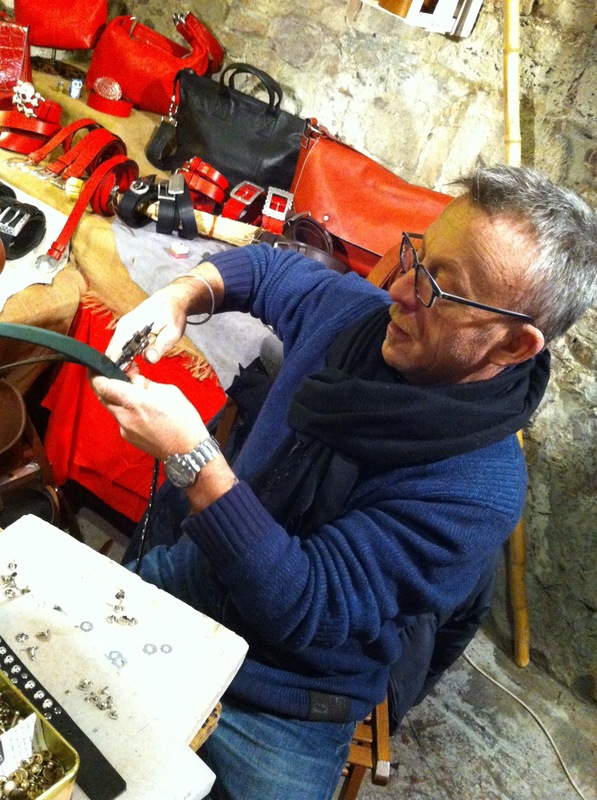 Once at Tartufi Bianconi, I discovered Saverio’s tiny private truffle museum–floor to ceiling packed with charming and quirky truffle hunting tools, memorabilia, and an educational display with various samples of local and foreign tuber varieties and curiosities. His lighthearted explanation included wily tricks local foragers use to sell their finds at the highest price (including packing the truffles’ warty skin with pebbles and dirt to make them heavier, thus more valuable, and passing off truffle-shaped stones as the real thing) and to keep the best foraging areas a secret (one local “tartufaio” regularly goes out in drag, so he won’t be recognized and followed to the woods by competitors). Afterwards, I had a peek in their processing rooms, where they weigh, sort, clean and prepare the truffles—drying, deep freezing, or chopping them for patè, sauces, and infused olive oil. Saverio’s wife, Gabriella, then welcomed me into her homey kitchen and led me through a tasting of the four main truffle varieties found locally: the delicate white truffle (I was there just as the white truffle season opened, and was lucky to be able to sample this rare treat fresh from the woods) sliced paper thin and served raw with lightly salted butter, the stronger summer white truffle, or Bianchetto, which was stored minced and frozen and now served with just a drop of olive oil, the local black truffle (Gabriella had me first taste it raw, then gently warmed in olive oil to demonstrate how this brings out the aroma), and the strong Norcia black truffle, again warmed in olive oil to accentuate the flavor. After 25 years of enjoying truffles, I felt I had finally discovered how to distinguish between them and use each variety to its best advantage—knowledge I will be using to my best advantage at future dinner parties! We finished our day in the best possible way: cooking and eating our bounty. With Gabriella as instructor, and using all local ingredients and products prepared by the Bianconis, we prepared a pecorino flan with honey and truffles, egg tagliatelle dressed in fresh truffle, a juicy beef roast with truffle sauce, and finished with a wonderful traditional dessert–zuppa inglese–made with custard and sponge cake. We chatted, laughed, and swapped stories from the first bite of antipasto through the last sip of smoky-sweet vin santo made by a micro-vintner down the road. In this day of discoveries, the biggest one was this: truffles are not about food, but about people. The history of people who have foraged for them for millenia, the culture of people who keep this history alive, the passion of people who pass down this culture in the kitchen, the stories of people who are passionate about this breathtaking valley and its bounty. A special thank you to Saverio and Gabriella from Tartufi Bianconi for a wonderful day! This edition of the monthly Italy Blogging Roundtable is a bit sluggish…blame the August heat. Take a look at what my fellow bloggers including travel writing powerhouse Jessica Spiegel (on leave this month), professional travel writer Melanie Renzulli, art historian and general brainiac Alexandra Korey, Tuscan uber-blogger Gloria, the hilariously irreverent Kate Bailward and me have to say. (If you missed the previous months, take a look here.) Please, pull up a chair to our Roundtable, have some popsicles, and join in on the conversation. August in Italy is hot. Hot hot. Too hot to work (which is why this post is late), too hot to sleep, and too hot to cook—much less eat–much of anything. There is one dish that I can always stomach, no matter what the thermometer reads. No, it’s not gelato (there are days when even gelato seems a challenge) and it’s not pasta salad (though it’s a close runner-up). It’s panzanella. Panzanella is both a quintessentially Umbrian and a quintessentially summer dish. Umbrian because it is a delicious way to use up stale bread, which appeals to the parsimonious Umbrians and their farming traditions of not letting anything go to waste, and because pretty much every cook has their own version of it, depending upon their tastes and vegetable garden. Summer because it is built around flavorful garden tomatoes, fresh basil, extra virgin olive oil, and not much else–all ingredients that abound in these summer months—and involves not a lick of flame to make. When the temperatures soar, make yourself a big ol’ plate of panzanella. And then take a nap in front of the fan. Cut the vinegar with the same volume of water, making enough to soak the bread cubes. Soak for about five minutes, then press out the liquid well (the cubes get a little mushed up…it’s fine.). Mix the bread with the chopped vegetables, olives, and basil in a large salad bowl. Dress with olive oil, salt, and pepper to taste. Let the panzanella rest in the refrigerator for about two hours. Yep, that’s it. Nap time. 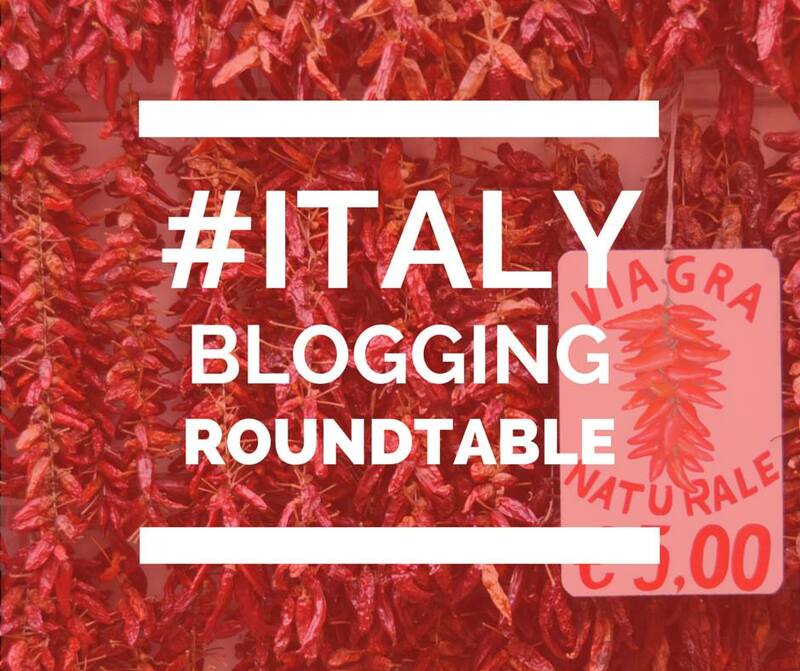 This edition of the monthly Italy Blogging Roundtable is a hodgepodge, a mishmash, a mélange, a potpourri–a “Grab Bag”, if you will. Take a look at what my fellow bloggers including travel writing powerhouse Jessica Spiegel (on leave this month), professional travel writer Melanie Renzulli, art historian and general brainiac Alexandra Korey, Tuscan uber-blogger Gloria, the hilariously irreverent Kate Bailward and me throw into the pot. (If you missed the previous months, take a look here.) Please, pull up a chair to our Roundtable, have some assorted chocolates, and join in on the conversation. We opened up the topic this month for pretty much anything—I think most of us are limping over the academic year finish line and the creative energy necessary to come up with a compelling topic was just too much to ask—thus shooting ourselves in the foot. Because it turns out that nothing is more paralysing than unlimited choice, as anyone who has ever spent a Saturday evening at Blockbuster Video knows. As I was ruminating over the topic buffet stretched before me, a recent conversation I had with a fellow expat about fluency came to mind. We had been talking about when, exactly, a person could be considered fluent in a second language; we agreed that the better we spoke Italian, the more we realized how far from fluent we were. And it came to me: perhaps one of the biggest steps towards fluency can be measured not by knowing what a word or phrase means, but by knowing what it doesn’t mean. Italian is, like many languages, vastly nuanced and often the contextual meaning of a word or phrase and the literal meaning of that word or phrase diverge dramatically. These intricate subtleties are hard to master, and when you reach that magical sweet spot of not only understanding them but employing them to shade your own conversation, it’s a small personal triumph. Here are a few of my favorites, many of which took me years to grasp. Maybe with these helpful explanations, your learning curve will be steeper than mine. What it really means: I have no frigging idea when the spare part I need to repair your deep freezer will arrive-slash-that rash will clear up-slash-your tax returns will be ready for you to come in and sign but it seems either impolite or impolitic to admit it, so I’m just going to throw a random bookmark sort of number out there to appease you, which can either turn out to be tomorrow or turn out to be the 27th of November, 2017. So don’t start calling me on day 19, because that will perplex me. Just assume a zen acceptance of the unknown. And have a glass of wine. Wine helps. What it really means: the first Pavlovian qualifier for any human being with two x chromosomes, regardless of any other accomplishments, achievements, talents, crimes, or misdemeanors which they may have racked up over their lifetime. It can also be tacked on to the end of the list of accomplishments, achievements, talents, crimes, or misdemeanors, casting them into the shadow of the overpowering importance of being una bella signora. What it really means: If you find yourself staring at the page in the cookbook where 90% of the measurements fo ingredients listed in the pollo alla cacciatora recipe have, instead of metric quantities, q.b. next to them and you are scratching your head and asking yourself, “Well, how much is just enough?”and, “If I knew how much was just enough, I wouldn’t need a frigging recipe, would I?”, give up. You are obviously not genetically predisposed to the eyeball method of cooking employed with nonchalance and mastery by most Italian cooks and if you shadow them in the kitchen trying to quantify the handfuls and pinches and Nutella jars of ingredients they are tossing into the pot, you will be good-naturedly mocked. Just get yourself invited to dinner to eat the pollo and stick to bringing brownies (the good ones from your mom’s 1973 Better Homes and Gardens) for dessert. Italians love brownies. What it should mean: See you soon! What it really means: This is not in any way an allusion to a future meeting, so don’t be whipping out your daytimer to pencil in a chit-chat. This is merely a non-committal, amicable way to part company, and does not denote a particular desire for the declarer to either see or not see you ever again. This neutral nicety is completely devoid of promise, so when weeks pass and no invite for a drink or dinner comes, do not take it personally. On the other hand, a “Prendiamo un caffè!” may indicate a nano-micro-kind-of-committment, so if fates and the winds decree that your paths serendipitously cross over the next twelve months you may actually share an espresso. Or you may not. It could go either way. What it really means: A fabulously prepared meal of at least five courses which rivals what you served at your own wedding, during which the hostess spends the entire evening apologizing because there’s not enough food and explaining that everyone should eat up now, because there are only three desserts. And gelato. Because she makes her husband leave in the middle of the meal to pick up some gelato. And for fruit there are just strawberries. But you can have them with whipped cream or sugar and lemon juice. Unless you want them with balsamic vinegar. Do you want them with balsamic vinegar? Because they’re out of balsamic vinegar but they can just call her mother who lives next door and she probably has some, or wait, her great-aunt always has balsamic vinegar. Who wants strawberries with balsamic vinegar? Because as soon as the husband comes back with the gelato he will be sent out again for balsamic vinegar.